The gift-giving holidays are in full swing. In fact, we’re only a week away from Christmas! How did that happen? If you’re like me and wait until the last minute to do your holiday shopping or need some last-minute gift ideas, check out these holiday gift card deals. The best part is you can get a little something for yourself, too! When it comes to finding a gift for the coffee lover in your life, nothing says “I care” quite like a hot cup of joe or that one latte pumpkin spice lovers look forward to every holiday season. That’s why these gift card deals are the perfect treats for your favorite coffee lovers or yourself — you know, to maintain the momentum during your holiday shopping. Visit Dunkin’ Donuts website and snag this awesome gift card deal. Just buy $20 in Dunkin’ Donut gift cards online and get a $5 electronic gift card for yourself. Dunkin’ limits this deal to just one per customer, and the free electronic gift card expires Jan. 31, 2018. Peet’s offers a $5 bonus card for every $25 you spend in electronic gift cards. This offer is available until Dec. 31, 2017, and bonus cards may be redeemed in-store from Jan. 1-31, 2018. See the terms and conditions for more details. We haven’t found any gift card deals for Starbucks, but the coffee chain is giving away $1 million in free $20 gift cards, along with offering a few other promotions worth celebrating this holiday season. Wait, what’s hangry? This is the term given to those who get a little angry when they’re hungry: angry + hungry = hangry. It’s become such a popular term that even Snickers has found a way to promote it. So if you know anyone who fits this term, these gift card deals are sure to be the perfect gifts. Applebee’s is offering a $10 bonus gift card with the purchase of a $50 gift card now through Jan. 7, 2018. The bonus card is good through March 4, 2018. What’s even better is Applebee’s is giving the gift of $1 Long Island iced teas through the entire month of December, so be sure to grab yourself one when you stop in — or go back another day to use that $10 bonus card and get 10, but don’t say we told you to do it. I must admit, BJ’s had me at Pizookie — and if someone gave me a BJ’s gift card, I’d most likely use it to order every type of Pizookie on the menu. BJ’s has two bonus gift card deals that run through Jan. 1, 2018: Buy a $50 gift card and get a $10 bonus card, or buy a $100 gift card and get a $25 bonus card. The bonus cards are only valid Jan. 1-Feb. 23, 2018. Both deals also come with a VIP card that gives you 20% off a qualifying purchase every time you visit a BJ’s between Jan. 1-Feb. 13, 2018. If you’re a fan of Bonefish Grill, share the love with this gift card deal: Purchase $50 in gift cards and get a free $10 bonus card. This deal is available until Dec 31, 2017, and you can redeem the bonus gift cards between Jan. 1-Feb. 11, 2018. Be sure to read the fine print on the gift card page, because several restrictions apply. This gift card deal is the perfect treat for those who love Italian cuisine. Receive a $10 bonus card for every $50 you spend in gift cards at Bravo Cucina Italiana. This offer is available until Dec. 30, 2017, and the bonus cards are redeemable from Jan. 1-March 15, 2018. Mangiare! If you have football fans in your life who are already planning for next year’s Super Bowl, check out this gift card deal from Buffalo Wild Wings. Receive one $5 eBonus for every $25 you spend on gift cards. This offer is valid for gift cards purchased in restaurants or online through Dec. 31, 2017. The eBonus cards are only valid from Jan. 1-Feb. 28, 2018, and Buffalo Wild Wings limits the number of eBonus cards to four per customer. Here’s another deal for the Italian food lovers in your life. Receive a $25 bonus card for every $100 you spend on gift cards from Brio Tuscan Grille. This offer is available until Dec. 30, 2017, and bonus cards are redeemable between Jan. 1-Feb. 15, 2018, except on holidays. I’m not surprised by another gift card deal for Italian food — coming from an Italian family, I know how much they love to eat. With this Buca di Beppo Italian Restaurant gift card deal, you’ll receive two — yes, two — $10 reward cards when you purchase a $50 gift card by Dec. 31, 2017. You can redeem the first reward card in January 2018, but you’ll have to wait ‘til February 2018 to redeem the other. Keep in mind that you must order the holiday-themed gift card pictured in the link above to get this deal. If you know any fans of this California-style gourmet pizza shop, give the gift of pizza with this deal — and get a little something for yourself, too. Between now and Jan. 1, 2018, you can grab a free $20 promotional card when you spend $100 on gift cards at California Pizza Kitchen. Promotional cards are redeemable between Jan. 8-Feb. 25, 2018. Yes, more Italian! Carrabba’s is offering a $10 bonus card when you purchase $50 in gift cards. This offer is available until Dec. 31, 2017, and you can redeem your bonus card between Jan. 1-Feb. 11, 2018. Want to double up your bonus? Head to your local Carrabba’s on Dec. 23, 2017, and get two $10 bonus cards with your $50 gift card purchase. Restrictions apply, so read the fine print at the bottom of the gift card page. This gift card deal comes with… you guessed it: cheesecake! For every $25 gift card you purchase on The Cheesecake Factory’s website or at any location, you’ll receive a Slice of Joy Card for a complimentary slice of cheesecake. This offer is available until Dec. 31, 2017, and you can enjoy your free cheesecake between Jan. 1-March 31, 2018. P.S. If you’re not a fan of cheesecake, you can also redeem the Slice of Joy Card for a slice of layer cake. Receive a $10 bonus card for every $50 you spend on gift cards at Chili’s. This offer is available until Dec. 31, and you can redeem you bonus card between Jan. 1-Feb. 7, 2018. Be sure to read the bonus card terms and conditions, as some restrictions apply. By the way, this year Chili’s trimmed its menu by 40%, so if your giftee has a Chili’s favorite, you might want to make sure it hasn’t been cut from the menu to avoid any disappointment. When you spend $30 or more on gift cards at any Chipotle between now and Christmas Eve, you’ll receive a buy one, get one deal for a burrito, bowl, salad or order of tacos when you bring in your gift card receipt during your next visit before Dec. 31. You won’t receive any bonus cards with this deal, but you will receive 10% off your purchase of $100 or more in gift cards at Chuy’s. Between now and Jan. 1, 2018, Del Fresco’s will offer several gift card deals, ranging from a $10 bonus card when you spend between $100 and $199 in gift cards, to a $150 bonus card when you spend $1,000 or more. You can redeem your bonus card between Dec. 26, 2017, and March 31, 2018, excluding New Year’s Eve. Del Taco offers free food with your gift card purchase between now and Jan. 1, 2018. When you buy $30 in gift cards, you’ll receive a coupon for a free small combo meal. If you buy $100 in gift cards, you’ll receive four coupons for a free small combo meal. Those are values of $6.50 and $26, respectively. Both offers also come with free USPS first-class shipping when purchased online. The combo meal coupons are valid until March 4, 2018. From now until Christmas Day while supplies last, Denny’s will give away $50 in coupons for every $25 gift card purchase. That’s five coupons for $5 off and five coupons for 20% off for every $25 you spend on gift cards at Denny’s. Give the gift of bagels and coffee with this gift card deal from Einstein’s. Get a $5 bonus card with the purchase of a $25 gift card. Both of these cards are redeemable at Einstein Bros. Bagels and Noah’s New York Bagels. The $5 bonus card will be valid from Jan. 1-Feb. 28, 2018. Some restrictions apply. El Pollo Loco has two gift card deals. You’ll receive a $10 bonus with a $50 gift card purchase, or a $5 bonus with a $25 to $49 gift card purchase between now and Dec. 31, 2017. The bonus comes in the form of a bounceback voucher printed on your receipt, so be sure to keep track of it and bring it into an El Pollo Loco location any time in January 2018. This offer is only available at participating locations. Be sure to read the fine print for restrictions. This daytime cafe will give you $20 in Bonus Bucks with $100 in gift card purchases between now and Dec. 31, 2017. You can redeem your Bonus Bucks cards between Jan. 1-Feb. 28, 2018. From now through Dec. 31, 2017, Fleming’s will offer a $20 bonus card for every $100 spent on gift cards. You can redeem the $20 bonus card between Jan. 1-Feb. 11, 2018. Some restrictions apply. This Brazilian steakhouse is giving away a $25 bonus card for every $150 in gift card purchases. This offer is available until Dec. 31, and you can redeem your bonus card between Jan. 2 and March 30, 2018. Be sure to read the restrictions in the very, very fine print at the bottom of the gift card page. IHOP will give you a $5 coupon with a $25 gift card purchase at participating locations. IHOP hasn’t announced the deadline to take advantage of this offer, so if this is a must-have for the IHOP fan in your life, grab it now before it’s too late! The $5 bonus coupon is redeemable until Jan. 31, 2018. This build-your-own-stir-fry place will give you a bonus card for $5 off a purchase of $25 or more when you purchase a $25 gift card. The offer is available while supplies last, and you can redeem your bonus card in January 2018. This all-you-can-eat buffet and grill will give you $5 in Bonus Bucks with every $25 gift card purchase. This offer is available until Dec. 31, 2017, and you can redeem your Bonus Bucks between Jan. 1-Feb. 8, 2018. If you’ve got some crab lovers in your life, you’ll want to snag this gift card deal. Between now and Dec. 24, 2017, you can get a $10 reward card with every $50 you spend on gift cards at a participating Joe’s Crab Shack location. Reward cards will be redeemable from January through May 2018, excluding holidays. Also, you must spend a minimum of $25 to redeem the reward card. Other restrictions may apply. This gift card deal is perfect for those who can’t get enough steak. Longhorn Steakhouse will give you a $5 bonus card with each $25 gift card purchase. You can redeem the bonus card from Jan. 1-Feb. 4, 2018, and you must purchase at least two adult dinner entree to redeem the card. ***Also, this offer is only valid if you send the bonus cards to Jessica Gray at The Penny Hoarder. OK, not really, but it was worth a try, right? When you buy a $100 gift card, this steak and seafood joint will give you a $20 reward card to use on $50 or more in food or nonalcoholic drinks. This offer is available until Dec. 24, 2017, and you can redeem your reward cards between Jan. 1-May 31, 2018, excluding Valentine’s Day and Mother’s Day. Give yourself or your college kids a break from instant ramen noodles with this gift card deal from Noodles & Company. From now through Dec. 31, 2017, you can get a $5 bonus card with every $25 gift card purchase from Noodles & Company. What’s more, you don’t have to wait until the new year to use the bonus, because the redeemable period started last month and runs through Jan. 16, 2018. Well, from now until Jan. 1, 2018, you can give the gift of Olive Garden (and breadsticks) and get a little something for yourself. Olive Garden will give you a free $10 bonus card, which is valid Jan. 2-March 31, 2018, for every $50 you spend on gift cards. Now that’s amore! 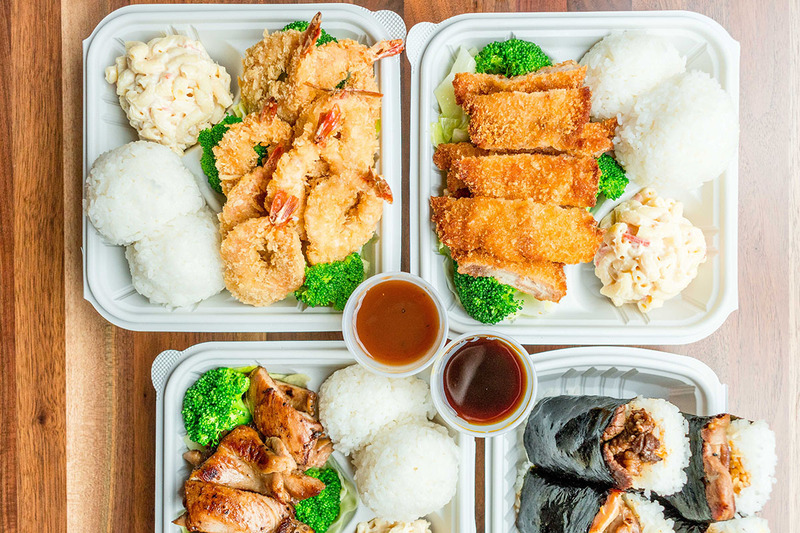 Through Dec. 31, 2017, Ono Hawaiian BBQ will give you a $10 bonus card with the purchase of $30 or more in gift cards. You can redeem your bonus card between Jan. 1-March 11, 2018. Bigger is always better, according to Outback Steakhouse. And right now, it’s not only offering bigger entrees, including an 18-ounce sirloin because a pound of steak just isn’t enough. It’s also handing out $10 bonus cards for every $50 spent on gift cards. This offer is available until Dec. 31, 2017, and you can redeem the bonus cards from Jan. 1-Feb. 11, 2018. Some restrictions apply. This original cookie shop turned fast-casual cafe is committed to serving 100% clean food, so this gift card deal is great for the health nuts in your life. Panera Bread will give you a $10 bonus card for every $50 you spend on gift cards. This offer is available in cafes only until Dec. 31, 2017. The bonus cards will be valid online or in cafes at participating locations from Jan. 1-22, 2018. Just note that if you decide to keep the bonus card for yourself, be sure to try an egg souffle. I recently had one at a company party, and it changed my life. Seriously. OK, maybe it didn’t change my life, but it was seriously delicious. This gift card deal caters to those who can’t get enough Asian cuisine. PF Chang’s offers a $20 bonus card for every $100 spent on gift cards. This offer is available until Dec. 31, 2017, and bonus cards will be redeemable from Jan. 1-March 31, 2018. Be sure to read the terms and conditions at the bottom of the gift card page, as some restrictions apply. I can count on one finger how many times I’ve been to Red Lobster. But if I had a Red Lobster gift card, I’d go back for some of those Cheddar Bay Biscuits — and some lobster, of course. Red Lobster will give you a bonus card for a free appetizer or a $10 off coupon for every $50 you spend on gift cards. Just like at Outback, there appears to be no limit on how many bonus cards you can snag, but you can only buy 10 gift cards in a single transaction. You can redeem your bonus cards from Jan. 1-28, 2018. Some restrictions may apply. Red Robin (yummm) has two gift card deals this holiday season: a $5 Bonus Buck Reward when you purchase a $25 holiday gift card, or a $10 Bonus Buck Reward when you purchase a $50 holiday gift card. Be sure to select your gift cards from the holiday category, as this offer is not available for gift cards in other categories. This offer is available until Dec. 31, 2017, and Bonus Buck Rewards will be valid from Jan. 1-Feb. 28, 2018. Ruby Tuesday is the home of delicious handcrafted burgers, including my personal fave: the Smokehouse Burger. This casual restaurant offers a $15 bonus card for every $50 you spend on gift cards. What’s really cool about this one is you can personalize your gift card with your choice of photos, messages and fonts. Just keep in mind, personalized gift cards are sent inside a personalized greeting card for an extra $4.50. If you’re not that creative or just don’t have the time to design your own gift card, you can choose one of the predesigned gift cards and add on the personalized greeting card for $4.50, or send the gift card in a standard gift card carrier for free for a limited time. This offer is available until Dec. 31, 2017, and bonus cards will be valid from Jan. 1-March 6, 2018. For details and restrictions, check out Ruby Tuesday’s gift card FAQs. This all-American family-style restaurant offers $5 in Shoney’s Bucks for every $25 spent on gift cards. This offer is available until Dec. 31, 2017. Visit your nearest Shoney’s location for more details. Texas Roadhouse will give you a $5 bonus electronic gift card for every $30 you spend on gift cards. The limit on the bonus cards is $100. Just like at Ruby Tuesday, you can personalize your Texas Roadhouse gift card with your choice of photos, messages and fonts, and the custom gift cards come with personalized greeting cards that cost an additional $4.50. This offer is available online only until Dec. 26, 2017. Another great thing about this gift card deal is that the bonus gift cards do not expire or lose value, plus you can use them immediately. It doesn’t have to be Friday to get in on this gift card deal! For every $25 you spend on gift cards at TGI Fridays, you’ll receive one Bonus Bites scratch-off card valued between $5 and $25, along with a code for a free one-night Redbox movie rental. This offer is available until Dec. 31, 2017, or while supplies last. You must redeem your Bonus Bites card between Jan. 1-Feb. 28, 2018, while the Redbox code is valid through Feb. 28, 2018. Be sure to read the official rules for the promotion for more details and restrictions. This gift card deal is perfect for steak and rib lovers! From now until Dec. 31, 2017, Tony Roma’s will give you $15 in Roma Bucks for every $50 you spend on electronic gift cards. You can redeem these Roma Bucks from Jan. 1-March 22, 2018. Be sure to click on “Click for Details” on the gift card page for more information. Known for its made-from-scratch buttermilk pancakes, eggs cooked any style and a pot of hot coffee on every table, this family-style restaurant will give you a $5 promo card for every $25 you spend on gift card purchases. This gift card deal is available until Dec. 31, 2017, or while supplies last, and you can redeem your promo card from Jan. 1-Feb. 9, 2018. Some restrictions apply. “Craft Beer Brings Holiday Cheer” is the saying for World of Beer’s holiday gift card deal, which makes a great stocking stuffer for the beer lovers in your life. From now until Dec. 24, 2017, World of Beer will offer a $10 bonus card for every $50 in gift card purchases. This offer is available online through the gift card page and at participating locations. Best known for seriously delicious handcrafted ButterBurgers, frozen custard and Wisconsin cheese curds all made from fresh ingredients, Culver’s offers a free value basket for every $25 spent on gift cards. This deal is available online and at participating locations for a limited time. What makes Mooyah gift card deal so great? You don’t have to wait to use your bonus! You instantly get $5 off food and drink purchases for every $25 gift card purchase. This offer is available at all Mooyah locations until Dec. 31, 2017. This fast-casual chain based in New York City started as a food cart in Madison Square Park back in 2004 and has steadily grown into a modern-day roadside burger stand offering burgers, hotdogs, crinkle-cut fries, shakes, beer, wine and more. Shake Shack’s holiday gift card deal offers a $5 Shack Back card with every $25 in gift card purchases. This offer is available until Jan. 2, 2018, and you can redeem your Shack Back cards between Jan. 3-Feb 28, 2018. Known for serving hand-dipped milkshakes and burgers made from steak, Steak & Shake will give you a $5 bonus certificate for every $20 you spend buying gift cards. This gift card deal is available until Jan. 2, 2018, and you can redeem bonus certificates from Jan. 3-Feb. 28, 2018. If you’re a Taco Bell lover, get yourself a free combo meal when you purchase a gift card worth $25 or more. The combo meal offer is only valid at the time of purchase, so be sure to go hungry! This offer is available for a limited time at participating locations. If you know someone who just can’t get enough of those “tender little White Castle burgers with those little, itty-bitty grilled onions that just explode in your mouth like flavor crystals every time you bite into one,” this gift card deal is a must! White Castle will give you a $5 promo card for every $25 in gift card purchases you make. Just make sure your giftee lives close to a White Castle location, unless they’re looking to go on a crazy road trip like Harold and Kumar. While candy is always a great stocking stuffer, these sweet gift card deals will give your giftees something to look forward to after the holidays have passed. Coldstone, how do I love thee? Let me count the ways. Ice cream, shakes, cakes, waffle cones and… I could go on and on, and I need to stop because I’m trying to be good. Go ahead and stuff those stockings — and your belly — with this sweet gift card deal from Cold Stone Creamery. For every $30 you spend on gift cards, this ice cream shop will give you a $5 electronic gift, plus free second-day shipping for the entire month of December. Santa doesn’t have to be the only one who gets to enjoy cookies this holiday season. At Insomnia Cookies, gift card purchases of $20 or more come with 25% more free. That means your gift card will come loaded with 25% more than you paid for it. This offer is available online and in-store until Dec. 25. Some restrictions may apply. Give the gift of doughnuts with this gift card deal from Krispy Kreme. For a limited time, Krispy Kreme will offer a $5 bonus card with the purchase of a $25 gift card. This offer is only available at participating locations, and some restrictions may apply — visit your local Krispy Kreme for more details. When you can’t get enough Jamba Juice, you get this gift card deal. At Jamba Juice, you can score $5 off any purchase between Jan. 1-31, 2018, with the purchase of a $25 gift card. This offer is available for electronic gift cards or online gift card purchases only. Other restrictions may apply. This one is for the froyo fans! Menchie’s Frozen Yogurt will give you a $5 bonus card when you spend $25 on gift card purchases. This offer is only available at participating locations, and bonus cards will be redeemable any time until June 30, 2018. If you have shopping fanatics on your list, give them the gift of shopping — and get a little something for yourself, too — with these gift card deals. If you can’t keep track of how fast your nieces, nephews or grandkids are growing, this deal can save you the time trying to find the right fit. Now through Dec. 25, 2017, The Children’s Place is offering a $10 off $40 coupon with gift card purchases of $40 or more. This offer is available online and in-store. Visit The Children’s Place gift card page for more details and restrictions. What do you give the person who loves shoes? A gift card for shoes, of course! Designer Shoe Warehouse is offering a $20 bonus card with the purchase of $100 in gift cards, plus another $5 bonus card for each additional $50 spent over the $100 threshold. You can redeem the bonus cards between Jan. 5-27, 2018. Some restrictions apply, so be sure to read the terms and conditions. Treat your favorite women in your life to this gift card deal from Soma. Receive a $20 money card coupon for every $100 you spend on gift cards through Dec. 24, 2017. You can redeem money card coupons online and at Soma boutiques and outlets from Jan. 9-Feb. 3, 2018. Some restrictions may apply. Be sure to click “Details” on the gift card page for more information. Whether you’re doing your holiday shopping or your usual day-to-day shopping, you can score some free gift cards while shopping at Target this holiday season. Target is offering free gift cards galore, ranging from $5 all the way up to $300, depending on what you purchase. For example, you can score a free $5 gift card when you purchase three Purina ONE Classic Ground Chicken Brown Rice & Beef Brown Rice Entree wet dog food or a free $300 gift card with the purchase of a Samsung Galaxy S8, Galaxy S8+ or Galaxy Note8. These deals expire Dec. 24, 2017, so you’ll have to hurry to get them. From movies to big-kid games, these gift card deals make great stocking stuffers for those who could use a little more fun in their lives. Let’s all go to the lobby, let’s all go to the lobby, let’s all go to the lobby… to get ourselves a treat! If you get that song stuck in your head for the rest of the day, well then, you’re welcome. This gift card deal is for — you guessed it — movies! Cinemark Theatres will give you a $5 concession coupon with the purchase of $35 or more in gift cards. This offer is available until Dec. 25, 2017, and the concession coupons are valid from Dec. 26, 2017-March 31, 2018. This deal is available only at participating locations. Some restrictions also apply, so be sure to read the fine print on this Facebook post. What’s a good movie without some popcorn? At Harkins Theatres, you can grab a voucher for a free medium popcorn with every purchase of $25 in gift cards. Harkins Rewards members also receive 25 points for every $100 in gift card purchases in a single transaction. Be sure to let your giftees know they can reload their gift cards with at least $25 and receive a free medium popcorn every time. This offer is available at participating locations and online. Some restrictions may apply. Marcus Theatres will also give you concession items with gift card purchases. For every $25 you spend on gift cards, you’ll receive a $5 Snack Cash voucher that’s good toward any food or beverage at your local Marcus Theatre. You can redeem the $5 Snack Cash vouchers from Jan. 15-March 31, 2018. Regal Cinemas will give you a $10 concession bonus card with the purchase of a $50 bonus pack, which includes two $25 gift cards. This offer is available at participating locations while supplies last. You can redeem the bonus concessions card from Jan. 1-Feb. 28, 2018. More details and restrictions are listed on the Regal Cinemas promotions page. With reclining seats, and food and beverages delivered right to you, Studio Movie Grill is the place is for classy moviegoers. This gift card deal serves as an opportunity to treat yourself to a fancy night out. Studio Movie Grill will give you a free movie ticket with every $25 gift card purchase. This is an online-only offer and runs until Jan. 3, 2018. The free movies tickets are valid from Jan. 4-Feb. 8, 2018. Give the gift of pizza and fun with this Chuck E. Cheese’s gift card deal. From now until Dec. 25, 2017, you can score a coupon for 500 free tickets with every $25 you spend on gift cards, with a maximum of four 500-ticket coupons per transaction. Ticket coupons will be redeemable until Jan. 31, 2018. Don’t let the little kids have all of the fun — grab this one for the big kids! Get $10 in free gameplay at Dave & Buster’s for every $75 of gift card purchases. This offer is available for a limited time, and the free gameplay coupons will be redeemable between Jan. 1-March 31, 2018. Some restrictions may apply. Books are fun too, mmkay! And if you have any book lovers in your life, this may be the best gift. From now until Dec. 24, 2017, Half Price Books will give out a $5 bonus card with the purchase of a $25 gift card. You can purchase gift cards online or in-store. You can redeem your bonus card online or in-store from Jan. 1-31, 2018. So there you have it, 68 holiday gift card deals to help you stuff those stockings and treat yourself while you’re at it!